The foundation of our huge success is built on a solid advertising program, which includes full-page color ads featured in over twenty bridal magazines such as The Knot, NY Wedding, NJ Wedding, Pa Wedding, Sites and Services, Locations, Contemporary Bride, Brides Guide, Courier Life, NJ Bride and Philadelphia Wedding, VIP Magazine, to name a few publications. Extensive Hi visibility ads in major area newspapers, strategic radio partnerships and the latest segment, the website. 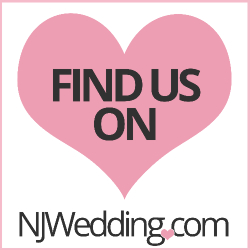 Some of the sites we are featured on include The Knot, Wed Alert, BSPI, njweddingguide.com and NJwedding.com. To supplement Elegant Bridal show exposure, personalized invitations are sent along with displays, flyers, complimentary tickets and posters to ensure optimum visibility and attendance. The "yellow pages" of the millennium has proven to be an excellent source of reservations for the bridal shows audiences. We are now offering advertising to our vendors on the site. Banners, listings and links are all available. Category Banner - A banner listing is available under the appropriate category. This banner will link to your own website. A listing of all brides that register on the site is also available for all vendors that have banners. This is available for the entire year. •	Front Page Banner - A banner listing is available on the front page. This banner will link to your own website. A listing of all brides that register on the site is also available for all vendors that have banners. This is available for the entire year. They must be a .gif format. If a banner is supplied does not meet the requirements, there is a minimum of $50.00 fee to resize, reformat or convert the file to work on the Elegant Bridal Website. Banners can be created by our staff for a nominal fee of $75.00. This fee includes development of a basic color banner including your supplied logo, phone # and limited text. The banner is designed for the Elegant Bridal website only and cannot be used for any other media. If a more elaborate banner is requested, they will be quoted on an individual basis. It is proven time and time again that the best way to meet, greet and sell a product or service are trade shows. Elegant Bridal Productions provides the perfect avenue to meet your target niche market. Many industry professionals exhibit exclusively with us. As a vendor you also receive the exclusive mailing list of brides in attendance at the show you participate. Elegant Bridal Productions is the only bridal compamy endorsed by various national syndicated television talk shows. Sponsors have included Martha Stewart, Katie Couric, Sally Jesse Rafael, Geraldo Rivera, and Maury Povich, to name a few. Television shows like Impractical Jokers, Bridezilla, Bridal Boot Camp, and Say Yes to the Dress have all participated in our events as well. Brides attending our events have the opportunity to win complimentary VIP tickets to participating sponsored shows. This is one of the many reasons we are known in the industry to be different than the typical bridal events! Our New York runway style fashion show is opened with first class entertainment. The area's top DJs and bands highlight our professional productions. All shows use professional models and have various themes. Videotapes are available of shows for vendor's future advertisement and sales. Elegant Bridal Productions offers vendors and sponsors promotional opportunities throughout our events. We offer 30-60 second still frame style advertising or full commercials shown on strategically placed video monitors and large 12-foot screens. The ads run continuously throughout the show. This is a great way to reach your target market to showcase your company! Hotels and banquet halls are chosen for show sites according to their beauty, elegance and reputation of service. The banquet staff is always available to answer all questions at the show. Elegant Bridal Productions was created to provide a strong venue for bridal experts to meet and greet potential clients. By consistently offering positive results, our reputation among catering executives and bridal experts has flourished and grown. Our specialized events showcase the top professional services available.